We all like to declare who we are. 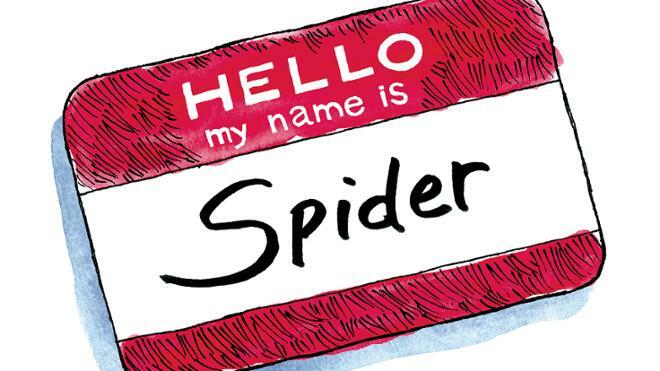 If you are reading this magazine, chances are that no matter what else you call yourself — spouse, swimmer, sibling, or storyteller — you’re also proud to call yourself a Spider. At other colleges and universities, the mascot is a name and a picture to sew on the jerseys of the sports teams. At Richmond, the Spider symbolizes not just who we cheer for, but who we are. We’re curious. Our curiosity begins with the question, “What if?” It’s the what-if of a researcher that turns into a lab project and then new knowledge and then brilliant students asking even more what-ifs. It’s the what-if of a business leader that leads to market research and then product development or a new service that makes consumers’ lives better and shareholders’ investments stronger. It’s the what-if of an artist who reimagines our world so that new ways to contemplate it become manifest. We’re determined. Our determination fuels us to accomplish our goals. It gives us resilience and perseverance in the face of setbacks. It gives us the confidence to propel lasting change. Taken together, this powerful trio — ambition, curiosity, and determination — gives us a remarkable ability to create positive change in communities, organizations, and businesses where we live and across the globe. To help celebrate 125 years of being Spiders, we’ve created this special Spider issue. We asked a psychologist about fear of real spiders and then asked a biologist to name her favorite things about them. We’ve dug up old stories and pictures about Spiders past and created maps and graphs to tell you more about Spiders present. We’ve even included stickers to help you show off your Spider Pride.